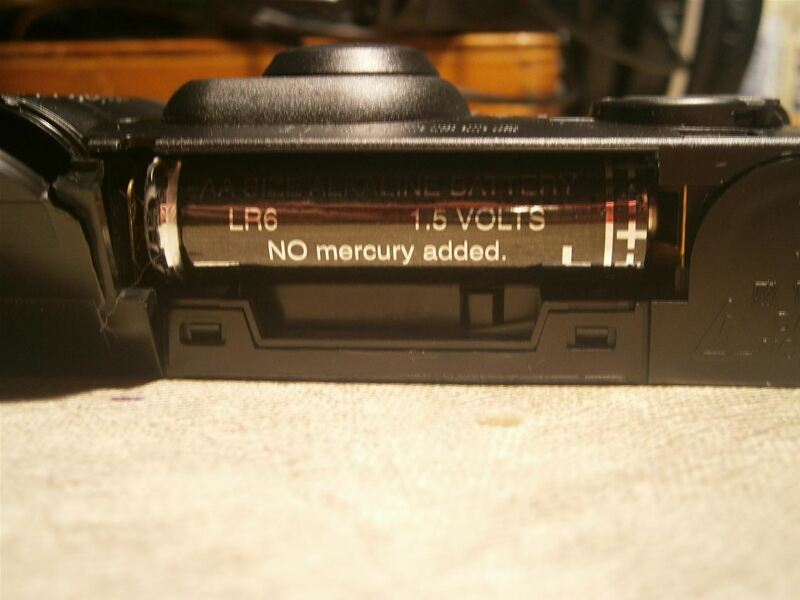 A disposable camera contains a "super cap" aka high value capacitor, which stores up lots of charge to make that bright flash. When you press the flash button, you can hear this capacitor charging up in an increasing high-pitched tone. We're going to take out that flash and replace it with two metal leads. Instead of traveling through the flash bulb, all that stored electricity will travel through whatever we press the leads onto. The best part about disposable cameras is that they're free if you go to your local convenience store and ask for the used ones. I even got a disposable video camera! 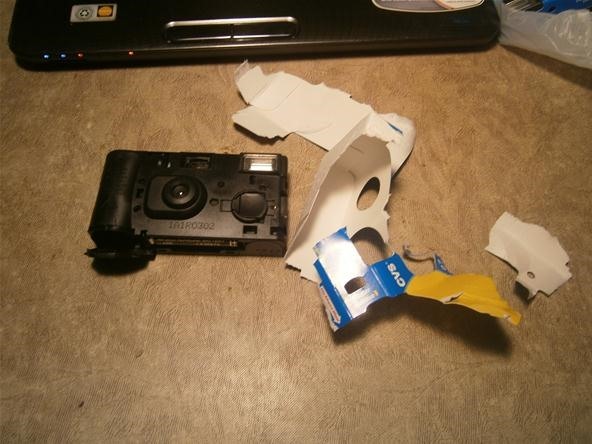 Remove the paper covering from the camera. 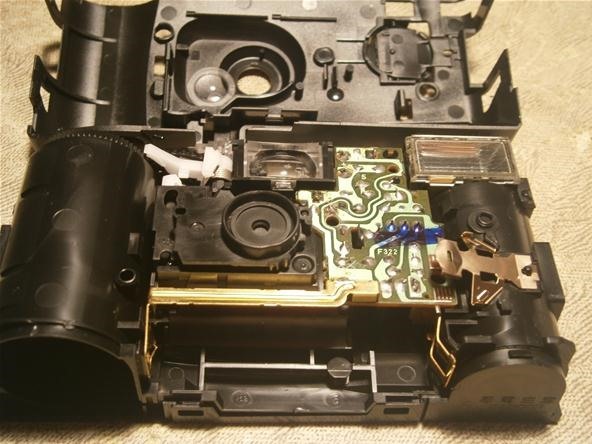 If you plan on disguising your taser as a disposable camera, then do this step carefully and replace the paper shell at the end. It's a double-edged sword. Though stealthy for insurgency, it can also easily kill anyone who's ignorant of it, such as children. Be careful. 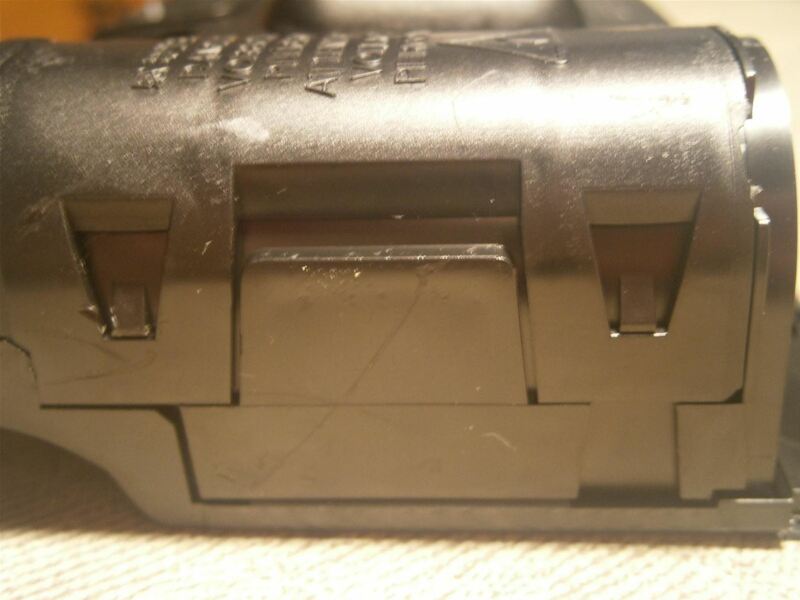 With the cover gone, you'll see the AA battery. Remove the battery. A taser powered by a AA battery! Who'd a thought? 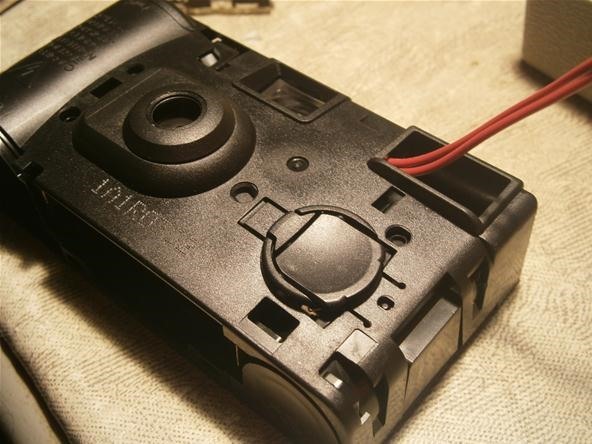 The camera is held together with a series of plastic clasps. Once you unclasp them all, the two sides of the camera will come apart. Flat head screwdrivers can help dislodge these clasps. Do not touch anything yet! The super capacitor may be charged. If you accidentally discharge it with your fingers, you will get a very painful and potentially deadly shock! Before touching anything, we must safely release any energy stored up in the super capacitor. Use a flat head screwdriver with a plastic or rubber handle. 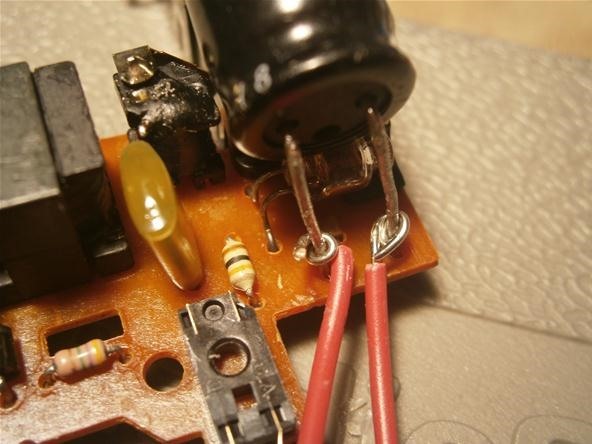 Bring the tip of the screwdriver into contact with the two leads coming out of the side of the capacitor. If you hear a loud pop and see a spark, you have safely discharged the cap. If you hear or see nothing, try again several times. If you still get nothing, your capacitor has probably already been discharged. 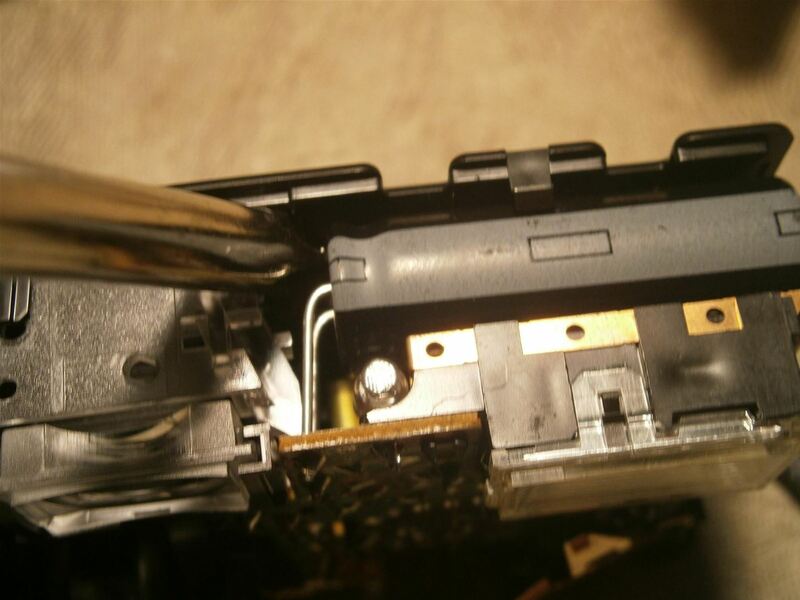 The large component with the white strip is the super capacitor. It's usually situated just behind the flash bulb. The board is not screwed into the plastic case and should come out with minimal force. Leave all the metal bits as they are. Locate the flash box at the top of the board. 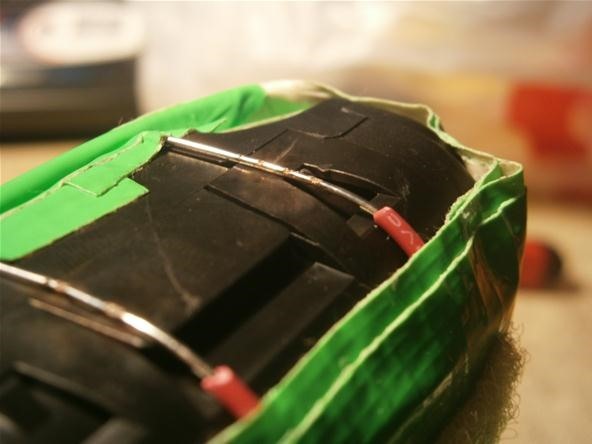 With a pair of wire cutters, cut the leads that connect the flash box to the board. Discard the flash box. 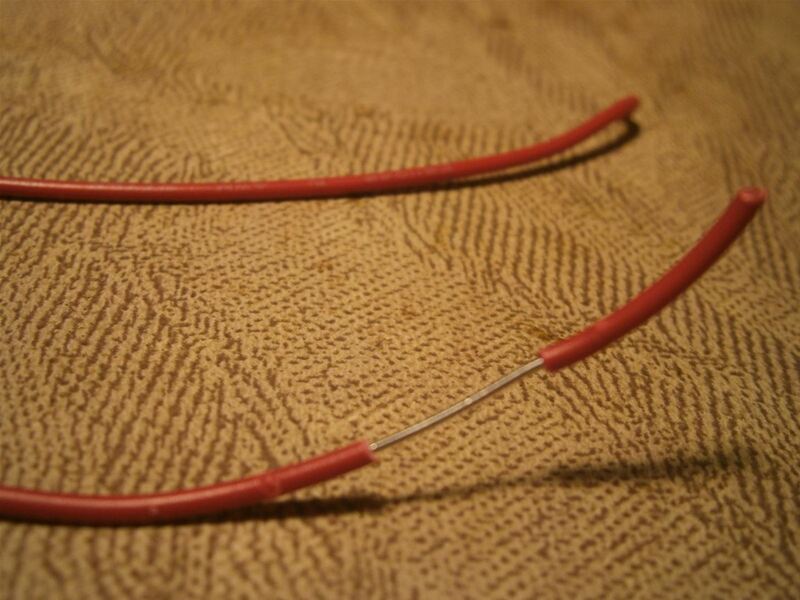 This one had thick leads. I tried to pry it out, but was forced to use wire cutters. Double check with your screwdriver that the capacitor has been fully discharged. Cut two 7-inch lengths of wire and strip the ends. Strip about an inch of wire at each end. Wrap the exposed ends of the wires around the capacitor leads. It is important to wrap them tightly enough so that they cannot touch each other. Run the other ends of the wires through the empty flash opening on the front of the case. Put the circuit board back into the back case and close the entire case around the board. It feels good from a design standpoint to create another function for the opening we just made obsolete. 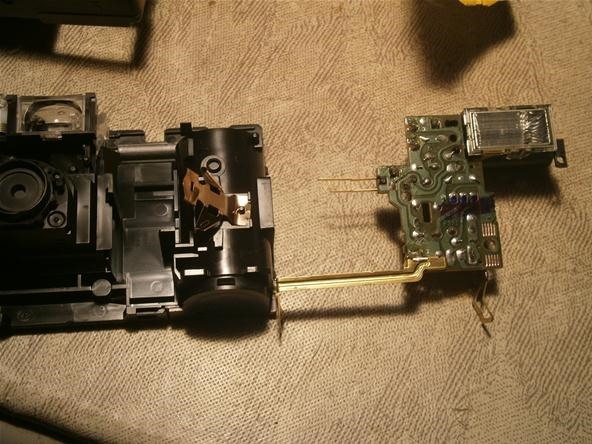 Take the exposed ends of the two wires and tape them at the opposite end of the camera away from the flash charge button. These exposed contacts are what will shock our enemies. Do not, under any circumstances, touch these contacts. EVER. It is time to test the functionality of your taser on an inanimate metal object. Hold the taser so that the contacts are facing away from your body. Press the flash button to charge up the super capacitor. After a few seconds, touch the contacts to the metal your are testing on. I made a case for mine from bright green duct tape. 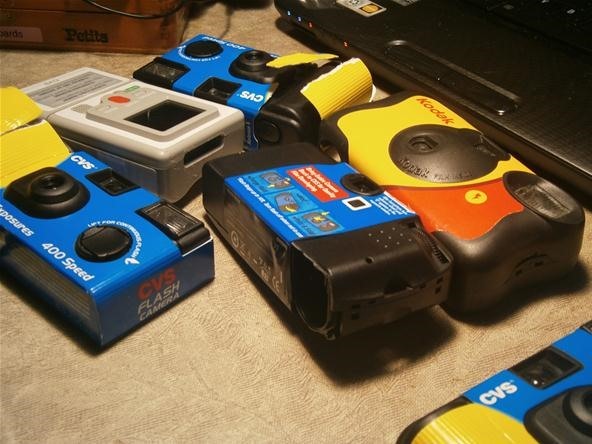 The bright color ensures you will always be aware of the taser. I felt compelled to add a safety flap to cover the contacts when the taser is not in use. 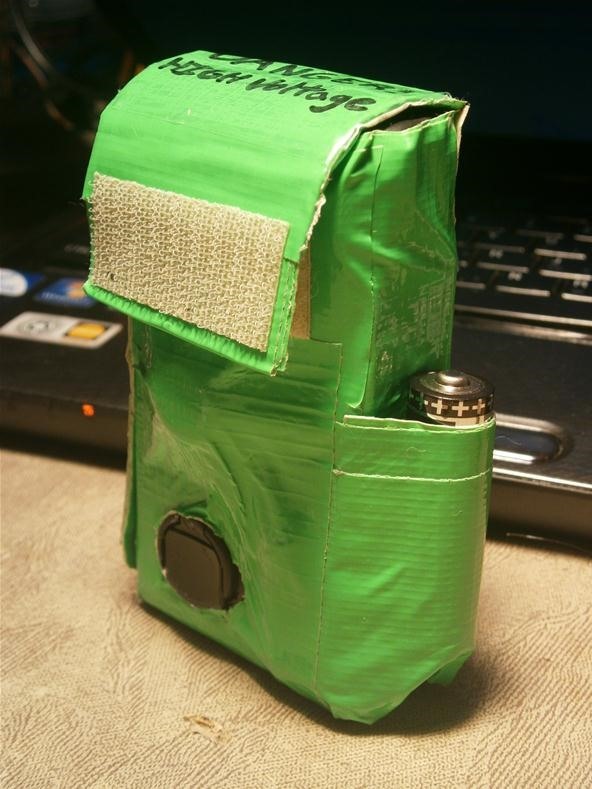 I also added a battery pocket to ensure the taser cannot be charged accidentally in my pocket. I am very happy with the final look. This project is deadly! Real tasers use alternating current that turns on and off very rapidly. This taser uses direct current that is constant. If you touch each contact so that the electricity flows across your chest (as it will if you hold a contact in each hand) The voltage traveling across your heart could rip your heart tissue and permanently destroy your heart! This tutorial is for demonstration purposes only. Do not try this at home. I am not responsible for any injury or death that comes as a result of making this taser for yourself. Post up your thoughts on this project in the forum. If you decide to take on this task against my explicit warnings, post up your pictures and video on the Mad Science corkboard, and please be safe! That is great! I am sharing this with all my mates. This is quite possibly the best camera stun gun I've ever seen. What would you say the voltage is on this beast? christopher is right in that it is somehwere between 300 and 500 volts. Probably wont go through clothing, but very effective on skin! You're right about the clothing. For a real weapon I would use wood screws as the terminals to pierce clothing and stab my enemies. yeah :D or use a transformer from a scanner fluorescent bulb, some high voltage capacitors, spark gap and pulse transformer. I'm pretty sure the voltage is more likely at least some 20 kilovolts. 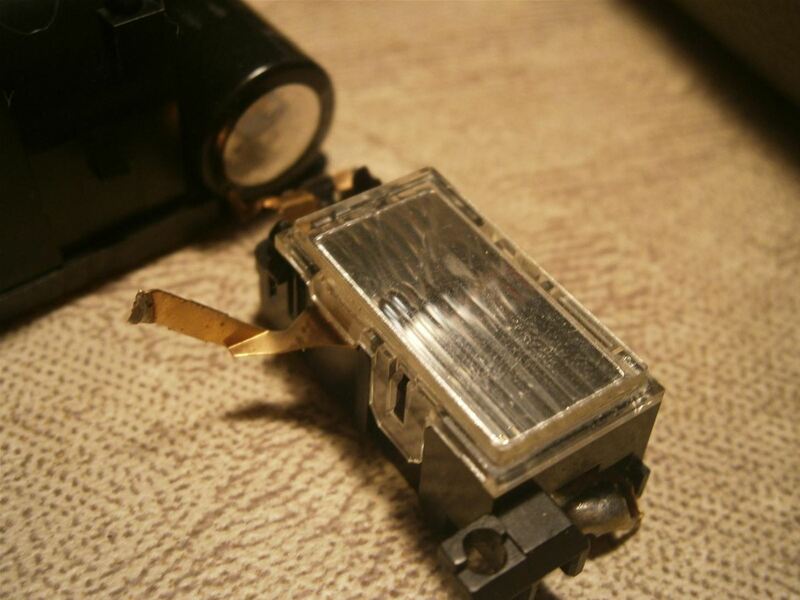 300-500 volts is not enough to light a xenon flash. The voltage is around 300-500 volts in the capacitor but the current goes through a transformer and voltage becomes many times higher. Somebody please correct me if I'm wrong. Very cool. I'm loving every post you put up so far. Keep up the good work. Wow thanks very much Rupert! Twenty of them mounted on a slice of wood might make a great shield! Technically that's not a super capacitor, it's just a high voltage cap. A super capacitor is defined as MASSIVE storage not voltage. Enough storage to run an electric car or something, and are usually quite large. I love the way you used duct tape for the case! Brilliant! Thanks for the correction Ryan! Duct tape is so useful. Dude, I have to tell you... I think you could be close to my favorite person, ever. This is awesome, and you are hilarious! Ha! Thanks Sean! Have you tried any projects at home? Could I just make my own transformer and capacitor and put that in a smaller circuit?